Durango Public Library hosts Durango Diaries Season 3: Second Acts, the latest installment of Durango Diaries, a bi-weekly storytelling event on April 3 from 6:00-7:00 pm, which features three residents who made a career change and will discuss making the transition to a new profession and the joys – and pitfalls – that came with those new roles. 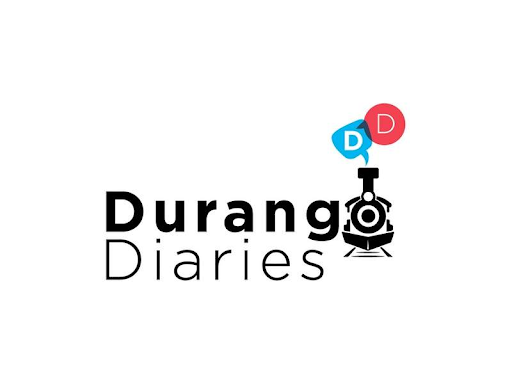 The podcast of each Durango Diaries, including past seasons, can be listened to or downloaded on the Durango Herald’s website at durangoherald.com/durangodiaries. 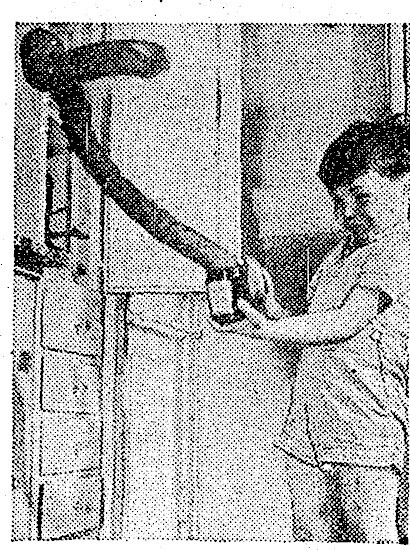 Image courtesy of the Durango Herald. The Security Public Library is Writing Our Story and invites Security-Widefield citizens to share their stories, pictures, artifacts, heirlooms, and memorabilia to preserve the rich and vibrant history of the community. The Collbran Branch of Mesa County Libraries hosts a Community Art Show and will have a rotating display of art by local residents throughout the rest of the year. The Community Snow Drawing event in Steamboat Springs returned to The Nature Conservancy’s Carpenter Ranch for a third year on January 27, 2019. This is a community art project open to the public, coordinated by the Bud Werner Memorial Library. The 2019 design was inspired by words. Artists used their snowshoe-clad feet as pencils to write an inspiring story in the snow. All actual words on display over the hay meadow were imagined and executed by community artists. See aerial footage of what they created here. Join Longmont Public Library and veteran Longmont hiker and author Pete KJ as he presents some of his favorite hiking choices for spring, and delves into the stories that go along with them on April 22, from 7-8:30 pm. Bring your curiosity, and get ready to write your own stories by going out and hiking these amazing trails! All ages are welcome at this program, although material is designed for adults. Click here to register. El Pueblo Museum up for prestigious award. The El Pueblo History Museum in Pueblo has been nominated for the National Medal for Museum and Library Service and is one of 30 finalists for the nation’s highest honor given to museums and libraries. The museum should learn the results by April 30th. 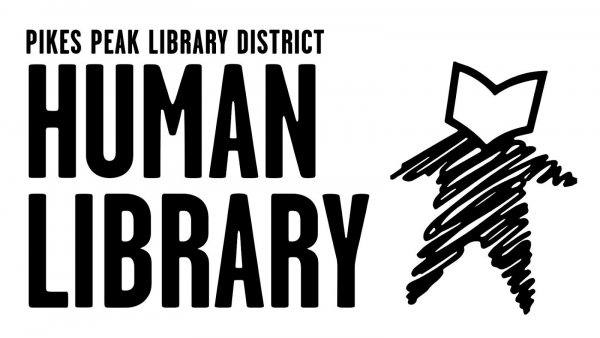 Pikes Peak Library District’s stories of personal struggle, triumph and identity will come to life this weekend with its third annual Human Library event. Between noon and 4 p.m. Saturday March 30, patrons at the district’s East Library at 5550 N. Union Blvd. will be able to ‘check out’ any of 13 people from various backgrounds for a 20-minute conversation about their life and background. Image courtesy of the Gazette. 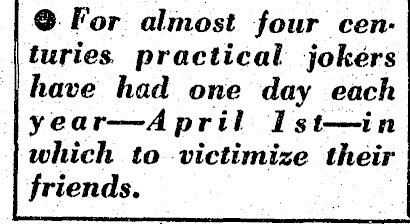 Have any tricks up your sleeve for April Fools’ day? If so, you are in good company. Jefferson County Public Library hosts Elementary Explorers: April Fool’s Day on April 1 from 4:00-5:00pm. School age kids explore funny, scary, interesting and awesome things through crafts, activities and books (with an April Fool’s Day theme). No registration required. Twice a month (first and third Wednesdays) the Once Written, Twice Revised writer’s group meets at the Englewood Public Library to discuss the craft of writing and practice with prompts and exercises. All experience levels are welcome at the next meetup, on April 3 from 6:30-8:30pm. Have a writing project underway or an inspiration that needs nudging? Join other local writers at the Lyons Regional Library on April 3 from 6:30-8:00pm (and the first Wednesday of each month) for Word Wednesdays with author Kayann Short PhD. This monthly gathering is free and for anyone with an interest in writing of any flavor. Wordsmiths unite! Jefferson County Library’s Teen Writing Group works together on writing skills. Hang out with a group of writing-enthusiastic teens, share your work or listen to another from 4:00-5:00pm on April 2, and the first Tuesday of each month. 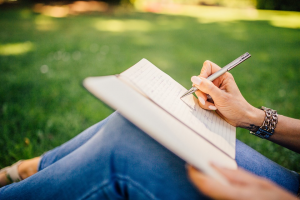 Join the Louisville Public Library April 1 from 10:00am-12:30pm for their Adult Quiet Writing Group an ongoing, weekly event, facilitated by Dani Coleman, where writers can gather and write separately, but together. Build a solid writing practice, feel less isolation, and get a lot of writing done. No registration required. The Andrew W. Mellon Foundation has awarded the Council on Library and Information Resources $2,807,000 to continue its regranting program to digitize “at-risk” audio and audiovisual materials of high scholarly value. The program will run four competitions between May 2019 and April 2021, awarding a total of $2.2 million. For more information on the program, visit https://www.clir.org/recordings-at-risk/. OBCO is right around the corner: from April 8-22 a copy of the same book will be given to all Colorado 4-year-olds. The winning title will be announced April 8! Want to eliminate fines at your library but have questions? You’re not alone! Keiran rounded up some frequently asked questions about eliminating fines and provided research-based answers.